When we are purchasing a shirt we hem and haw over fit and style, and how much this shirt costs over that shirt. Sometimes we will leave and come back after taking the time to weigh the decision at home before we make our final purchase. 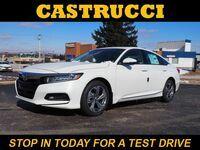 Why is it then that we usually purchase a new vehicle solely on appearances alone? We are in our cars every day, some days for hours, we only wear a shirt at most once a week. 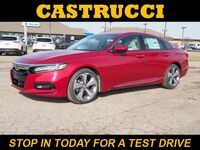 Nobody wants to be seen in an ill-fitting shirt or vehicle for that matter, so sit down and check out the differences between the 2017 Honda Accord Sedan and the 2017 Mazda 6. As you can see from the above graph the 2017 Honda Accord Sedan and the 2017 Mazda 6 have similar drivetrain specs, but the 2017 Honda Accord Sedan offers more passenger space. 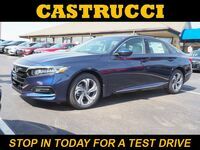 Both the 2017 Honda Accord Sedan and the 2017 Mazda 6 offer a 6-speed manual or automatic transmission that help them each obtain awesome fuel economy. 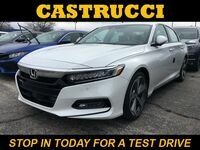 The 2017 Honda Accord Sedan does get slightly better efficiency than the 2017 Mazda 6, whether on the highway, in the city, using the automatic or manual transmission the Honda Accord outperforms the Mazda 6’s efficiency. When considering a new car purchase you often want excellent fuel economy but you also want the most up-to-date safety features. 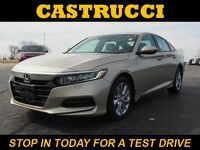 The 2017 Honda Accord Sedan and the 2017 Mazda 6 both offer excellent safety systems like: stability and traction control, along with advanced airbags and a rearview camera. 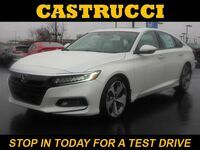 The 2017 Honda Accord Sedan takes safety a step further with their electronic brake distribution, brake assist, and available collision-mitigation braking system. The 2017 Mazda 6 stacks up nicely with the 2017 Honda Accord Sedan but in the end inched past it in almost every category. 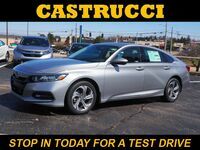 You can take the safe and stylish 2017 Honda Accord Sedan on a test drive today at Matt Castrucci Honda.